At a rate of 16.7%, North Charleston has been named #1 in the United States for Eviction filings by the Princeton University Eviction Lab. The Housing Court Committee, formed in September 2018, is seeking to increase representation of tenants in an effort to reduce the number of evictions displacing Charleston County residents. 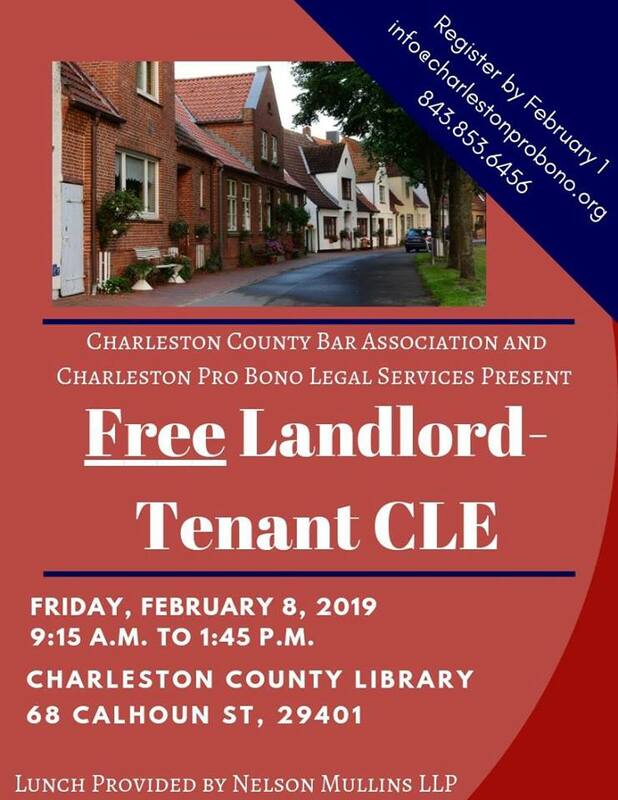 The Housing Court Committee has requested Charleston Pro Bono Legal Services to hold a follow up to their well-attended 2017 CLE in Landlord Tenant Law.